Citizen Scientists head out to the creek after dusk to listen to frog calls, identify the species and rank the chorus according to the quantity of calls that are heard. 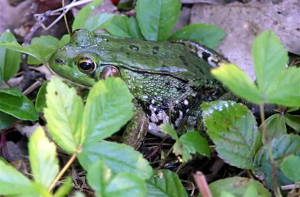 This helps researchers monitor amphibian populations, which also provide an indication of water quality. 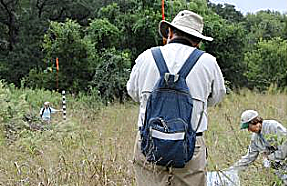 Data collected from this survey is submitted to the Texas Parks and Wildlife Nature Trackers program. To survey ants, Citizen Scientists place bait on small plastic dishes along a transect. This bait is left out for several hours. The trays are then collected in plastic bags and refrigerated. The ants are then taken to the lab where they are identified and counted using microscopes. The ant survey allows researchers to monitor ant species diversity and abundance. A team of Citizen Scientists assess stream flow and sample macro-invertebrates (dragonfly larvae, caddisfly larvae and others), fish and other aquatic organisms along side biologists from the San Antonio River Authority (SARA). The macro-invertebrate samples are taken to the CNC lab where they are identified and counted using microscopes. Macro-invertebrates are biological indicators of water quality. Taking place throughout the bird breeding season, bird box monitors collect information on bird box use. 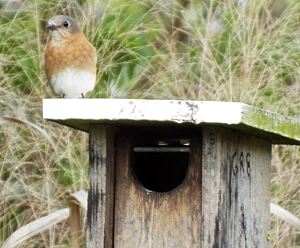 Species, nest type, numbers of eggs, numbers of hatchlings, and cow-bird eggs are documented weekly for each bird box throughout the breeding season. 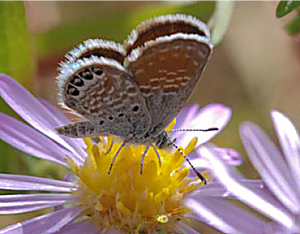 During the butterfly survey, citizen scientists walk a steady pace throughout the nature center's four habitats: prairie, marsh, riparian and woodland. 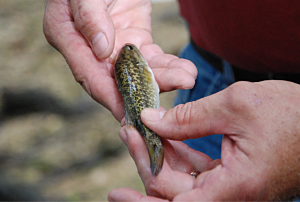 Over the past several years species of record have been documented for the first time in Kendall County. Butterflies are often good indicators of the presence of certain hard to locate plant species, like Spice Bush. On Saturday of Wildlife Field Research week, we will host our iNaturalist Bioblitz. During this survey, participants are encouraged to pick a wildlife topic of interest (birds, butterflies, dragonflies, flowering plants, beetles, etc,) then scour the park photographing specimens. To participate in the Bioblitz, citizen scientists are encouraged to download and use the iNaturalist app on their own smart device (iPhone, Android, tablets, etc.) to photograph and share their wildlife sightings. Participants are encouraged to watch this VIDEO to learn how to use this app. Participants are also welcome to use their digital cameras to take photos of specimens and then upload them to the iNaturalist website. 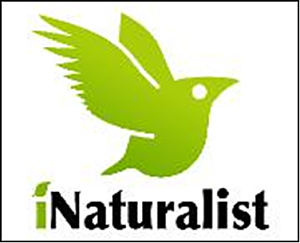 To learn more about how to use the iNaturalist website to view your sightings and participate in this citizen science endeavor, please see the website Tutorial Page. 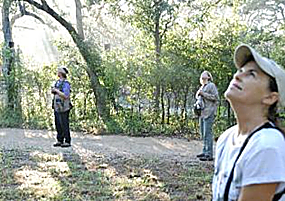 Citizen Scientists who participate in the incidental bird count enjoy a peaceful morning walk, listening to and watching song birds. Each species is identified and tallied and lists are kept according to the habitat in which the birds are seen. The data collected during the bird count is submitted to eBird, an online database administered by the Cornell Lab of Ornithology, which collects citizen science data from around the world. 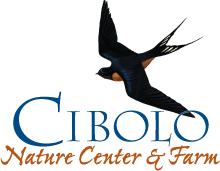 You can also sign up for our Fall Incidental Bird Count taking place October 1st, 3rd and 5th from 7:45am to 10am by registering through GivePulse.com. Search zip code 78006, then enter Incidental Bird Count in the Keywood Search in the upper left corner. A team of photographers and nature enthusiasts take photos to document changes in the prairie structure over time. By comparing photos from successive years, CNC land managers and researchers have a visual reference that help them to inform management practices and data interpretation. 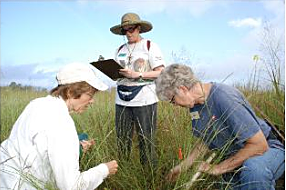 Plant enthusiasts and beginners alike survey several transects in the priairie to determine vegetation type, including forbs and grasses, and to assess ground cover. Using this data, researchers can assess changes in plant composition over time. Riparian woody vegetation assessments are conducted in the fall along transects crossing Cibolo Creek. 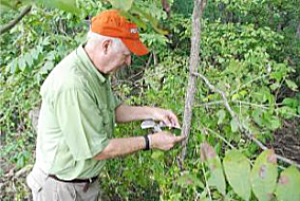 Woody plants are identified and their trunks are measured to assess annual growth rates. The data from this survey helps to assess changes in riparian woody plant diversity and facilitates invasive plant occurrence tracking for use during the spring invasives removal project. 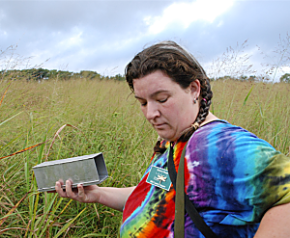 Citizen Scientists set and bait "Sherman" traps along transects in the tall grass prairie and woodland at the Nature Center. The following morning, the traps are checked for small mammals. Captured mammals are documented and a small clipping of hair is removed from the animal to mark that it has been capture. The animal is then released unharmed. This survey enables researchers to monitor the diversity and health of the small mammal population. 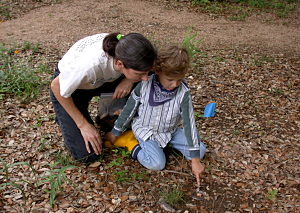 Citizen Scientists search for reptiles under rocks, within tall grass, throughout the woodland and in Cibolo Creek. Anoles, skinks, whiptails, and other lizards, as well as ribbon snakes, blotched and diamond back watersnakes and many other species are recorded during this survey. The water snakes are caught when possible, then pit-tagged and released. 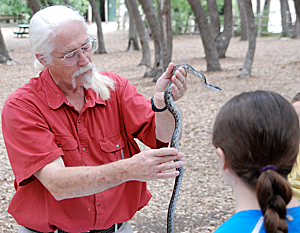 This survey helps researchers monitor the diversity and health of the reptile population.